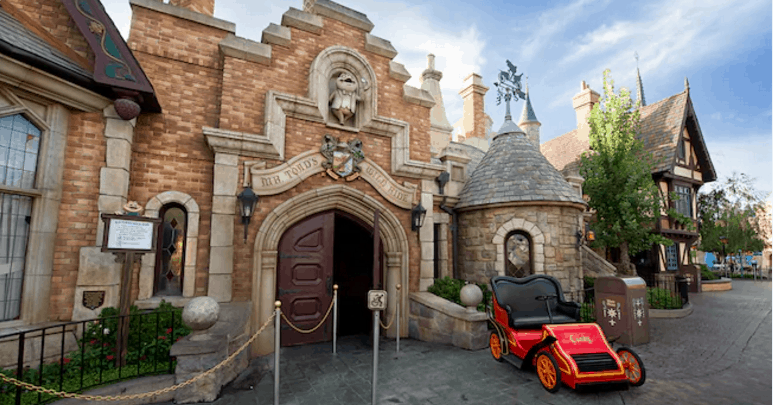 8) Mr. Toad’s Wild Ride -- Once upon a time in Fantasyland at Magic Kingdom, Guests could board a ride vehicle and take a journey through a dark attraction based on DIsney’s 1949 release of The Wind in the Willows. The attraction proved a little edgy—it depicted a trip to Hell in one part of the attraction. In October of 1997, when the Orlando Sentinel printed a statement from the Walt Disney Company about its plans to close the ride to make way for a new attraction, Guests began a public outcry. T-shirts were printed, a “Save the Toad” campaign was launched, and letters and emails began pouring in from “Toad fans” begging Disney to reconsider—but to no avail. During this time, Winnie the Pooh and friends had become more and more popular, and Disney had plans to trade a frog for a bear. And they promised that the new attraction would be more family-friendly (no depictions of Hell) and would operate with more updated ride technology. In September of 1998, after 17 years, Mr. Toad had his final wild ride. The Many Adventures of Winnie the Pooh attraction is now in the place where Mr. Toad’s Wild Ride once was. But diehard Disney World fans still think fondly on Mr. Toad and his Wind in the Willows friends.